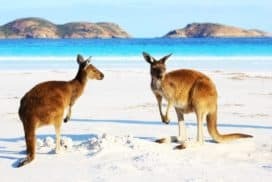 Western Australia is the largest state in Australia and covers almost a third of the continent. Perth is the capital and is situated on the banks of the Swan River in the south-west corner of WA. 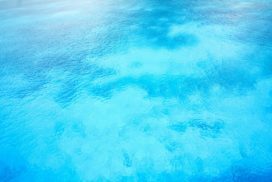 Perth is also one of the sunniest cities in Australia. 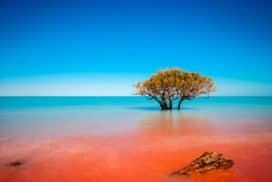 It is surrounded by desert from the east and the ocean from the west.Western Australia has a population of around 1.8 million with over a half of it residing in Perth alone. 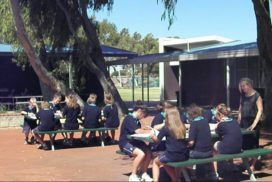 The Western Australian Department of Education & Training is the authority responsible for managing this system. The school year is divided into two semesters with four terms and includes a major break between December and January. 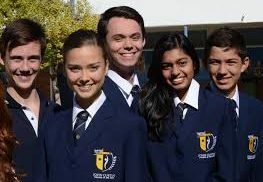 International students normally enrol in Senior Colleges if they are aged 16 and over. 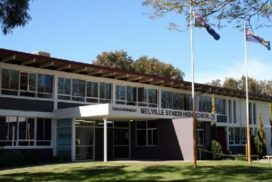 There are different schools for students with different needs and abilities and it is not easy to categorise them into one large sector.Non-English speaking students are provided with special English language assistance through English as a Second Language programs (ESL). 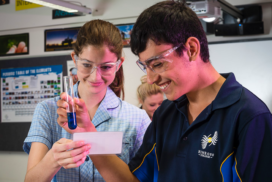 For Years 11 & 12, there are opportunities for specialisation as far as the choice of subjects is concerned. 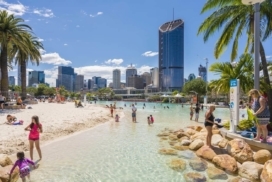 Perth, capital of Western Australia, is closer to South East Asia than it is to Sydney and the state of Western Australia stretches from the Timor sea in the north to the Southern Ocean above Antarctica in the south. 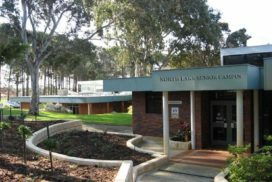 Perth is a modern city that sits astride the Swan River, not far from Fremantle and beautiful sandy beaches downriver on the coast. Rottnest Island is a short ferry trip off the coast from Fremantle. 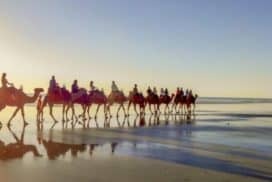 Western Australia’s vastness offers a great diversity of environments and a diverse range of agriculture from cereal and irrigation crops through fruit and vines to open grazing of beef and lamb. 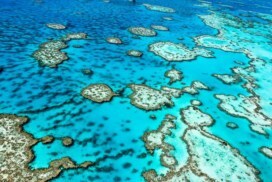 Fisheries, forestry and vast natural mineral resources including iron ore, diamonds and natural gas give a good picture of the state’s impressive natural endowments, not to mention the many spectacular and beautiful natural attractions from its beaches and coastline to its deserts and fascinating rock formations. 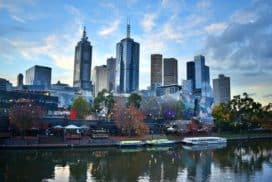 Perth is a cosmopolitan, affordable and friendly city that serves as the hub and centre of the state’s life and activity. 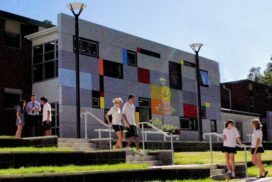 State schools in Western Australia are modern, first-rate institutions with up to date facilities and computer technology. Standards are well-regulated and monitored for excellence at a state and national level. Specialised programmes such as the arts, music, dance theatre and media studies benefit from purpose-built facilities. 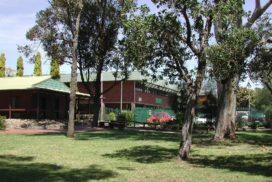 International students are able to choose from approved schools having available places and homestay placements are provided for those not staying with family or relatives. 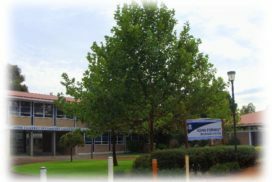 The curriculum covers English and other languages, the arts, maths and science, society and the environment, technology, and health and physical education. 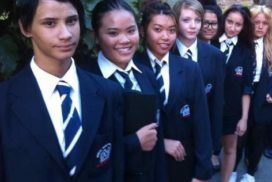 Education is delivered by university-trained teachers and international students have the assistance of Overseas Student Co-ordinators who assist them with everything from accommodation and living arrangements to succeeding in their English studies and overall education. 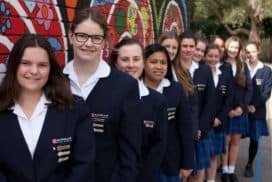 Progress is monitored with regular testing and Year 12 students can sit the Tertiary Entrance Examination (TEE), which enables them to apply for university admission both around Australia and overseas. 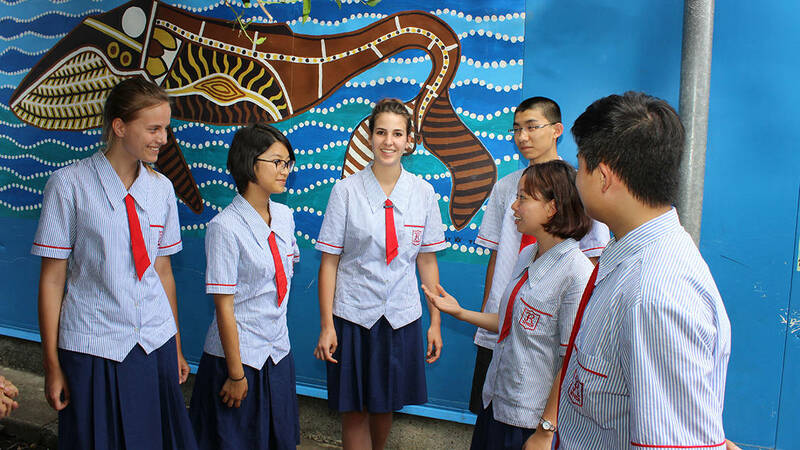 Classrooms are multicultural in composition so that international students can mix with local students from a wide range of backgrounds in a safe and friendly environment that makes study enjoyable and enables the formation of friendships that last beyond the confines of school. 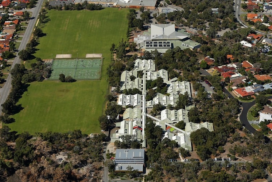 Apply to Study at a Western Australia Hight School Here! Pre-primary programs are not compulsory but primary schooling from Year 1 is. 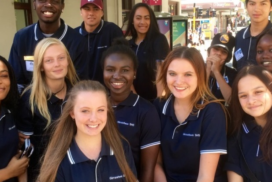 All Western Australian government schools with capacity to take in international students are co-educational and offer programs from pre-primary to kindergarten to Year 7.
International students are normally required to enrol for at least two years. 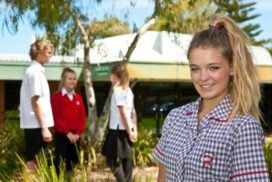 Western Australian government primary schools offer a safe and quality environment in which to study. It is a requirement for international students to have studied English in their home country prior to enrolling. 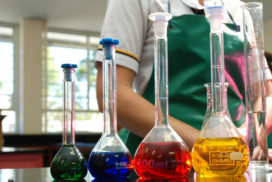 English as a second language programs are offered where required. All international students are required to have Overseas Student Health Cover so as they remain in the country. Payment for OSHC is due when a letter of offer is issued. 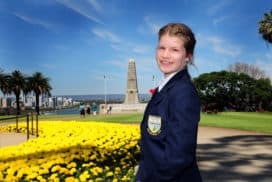 It is a requirement that primary age pupils have at least one parent or grandparent as guardian so long as they are enrolled in a study program in Australia. It is very important that international students comply with the conditions of their student visa. 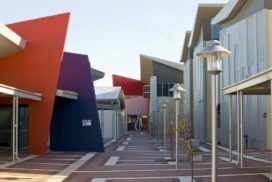 The state of Western Australia has 18 metropolitan colleges, 2 senior colleges and 1 agricultural college. 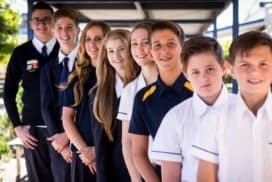 All government secondary schools are coeducational from Years 8 to 12. 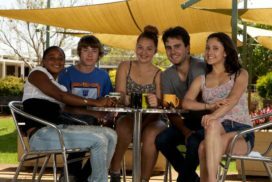 The minimum period of enrolment for an international student is 2 years. 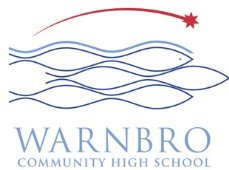 In addition, the WA school system provides a quality and safe environment conducive to learning. 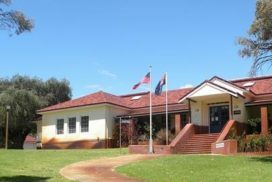 PIWA, in consultation with Department of Education and Training International of Western Australia has worked out the following procedure to assist PIWA International students to enrol their dependants in local government schools. Please note it is our responsibility to assist dependants of international students to enrol in government schools if they meet the criteria set by the Department of Education and Training. 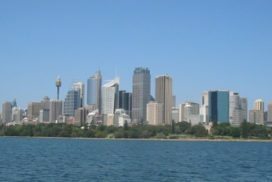 Students are responsible for their dependant's cost of living and studying in Australia. Plus any charges at school level. All fees and charges should be paid directly to the local school. Parents can negotiate a payment plan (per term or per semester) directly with the school principal. Upon receipt of the above documents, ETI will email to you the Confirmation of Placement. Please submit this confirmation to the local Australian High Commission for visa application. 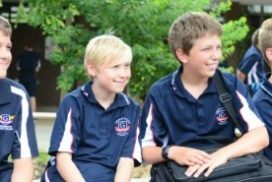 Upon arrival in Perth, please bring the passport and all school reports to your local school to arrange enrolment. Payment plan can be negotiated directly with the principal of the school. Please make sure the student obtains a copy of the enrolment contract and refund policy from the school. Homestay costs - which cover accommodation, food and bills - are A$220 per week, the specific homestay place and amount is determined in advance of arrival. Students will also need sufficient money for transport costs, entertainment and other personal expenses. This is normally around A$130/week for most students. 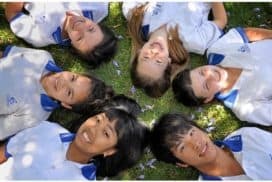 The Western Australian government welcomes international secondary student exchanges and the many benefits it brings for both parties. Student visas are only issued for full-time courses for at least a year. However, the minimum period for international student enrolment can be three months or a year. International students on an approved exchange program are issued 560 visas classifying them as overseas students.